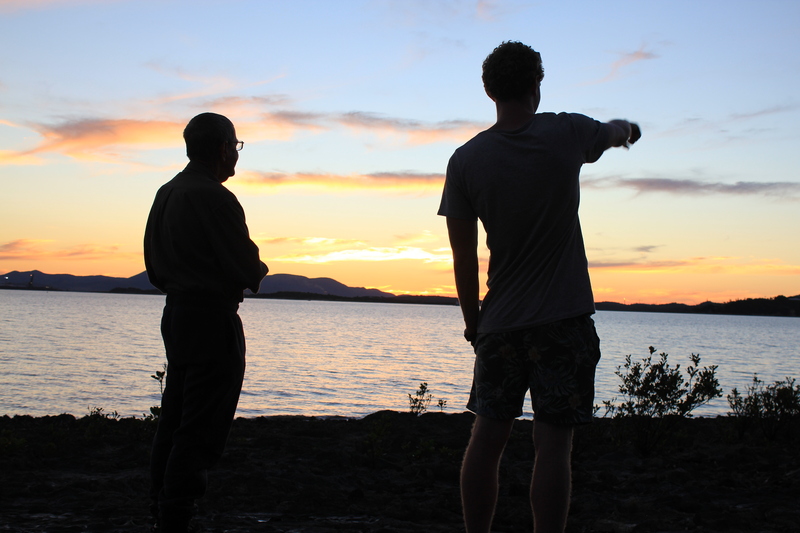 Recently, while NSW was being battered by severe storms and record-breaking rainfall, I was very fortunate to be able to escape to sunny Queensland on another wildlife adventure with our team from the Bob Irwin Wildlife and Conservation Foundation. After a six-hour drive north of Brisbane we arrived in Gladstone at our first stop, the Australian Animal Care and Education (AACE) wildlife research and breeding facility at Mt Larcom. The facility is owned and operated by husband and wife team, Tina and Pete, who are amongst the most hardworking conservationists I have had the privilege of meeting. The centre focuses on captive breeding and research projects for the southern hairy nosed wombat and the endangered bridled nail-tail wallaby. 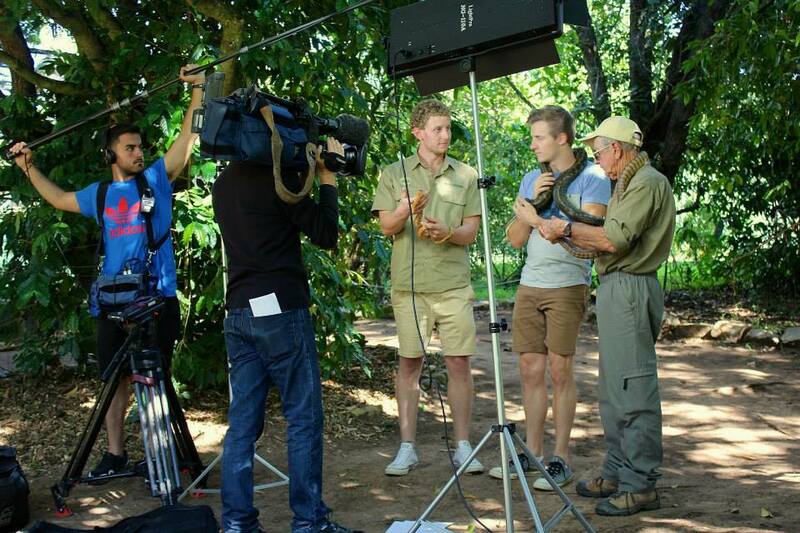 The centre also raises and rehabilitates many other species of native wildlife. Air-conditioned artificial wombat dens and large natural enclosures are immaculately maintained and a genuine love and commitment for the animals drives every aspect of the centre’s operations. 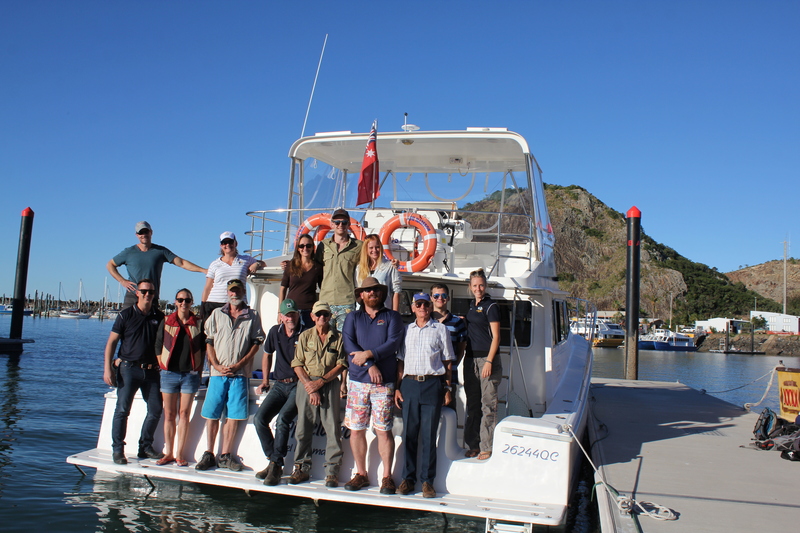 Our next stop was the Quoin Island Turtle Rehabilitation Centre, which is a short boat ride out of Gladstone harbour. 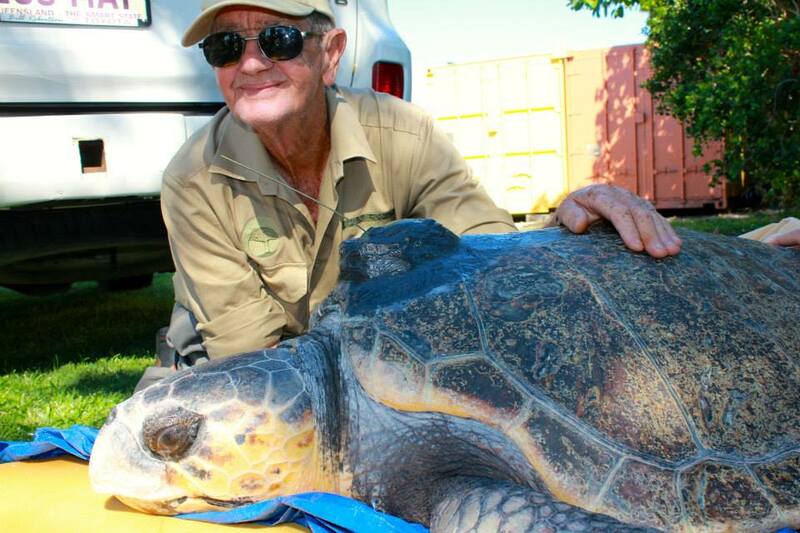 The rehabilitation facility was set up in 2012 by local businessman, Bob McCosker, and over the past three years has been responsible for the successful release of more than 80 sea turtles back into the ocean. The facility is made up of multiple containment and treatment tanks, a 9-metre swimming pool, as well as a specialist treatment room. Green turtles have been the most frequent patients, however the centre has also cared for hawksbill, flatback and loggerhead turtles. It was heartbreaking to see the range of items that had been removed from the bodies of deceased turtles. Sadly, plastic bags, fishing hooks, fishing line and other pieces of rubbish are frequently consumed by turtles, blocking their digestive tracts leading to a slow, painful death. The dedicated volunteers at the centre not only play a vital role in the day to day running of the facility, but also in educating the local community about the importance of protecting our oceans and ensuring they are rubbish free. The journey of one very special turtle, Amanda, provided us with an inspiring example of why we can never give up fighting to protect our precious wildlife. 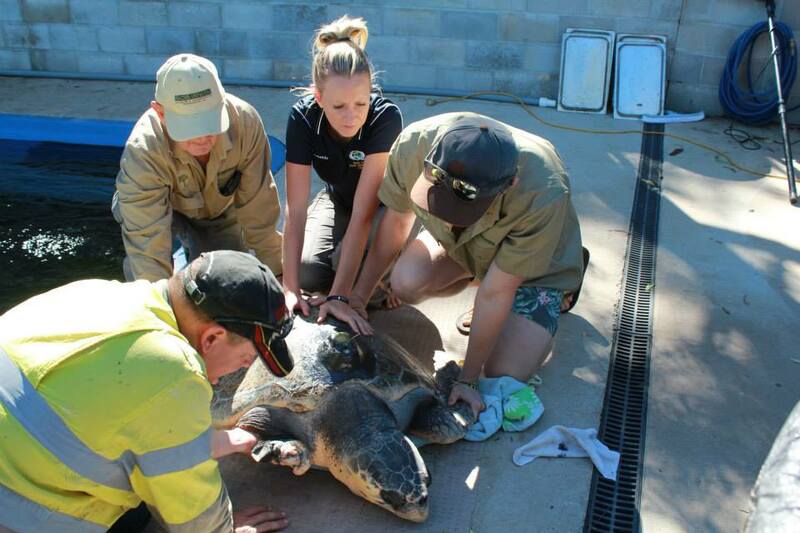 A member of the public rescued Amanda in September 2014 after she was found in shallow, muddy water up a small creek. Amanda was in terrible condition, she was completely emaciated, had lost her front right flipper and had terrible bite wounds on her shell and parts of her body. 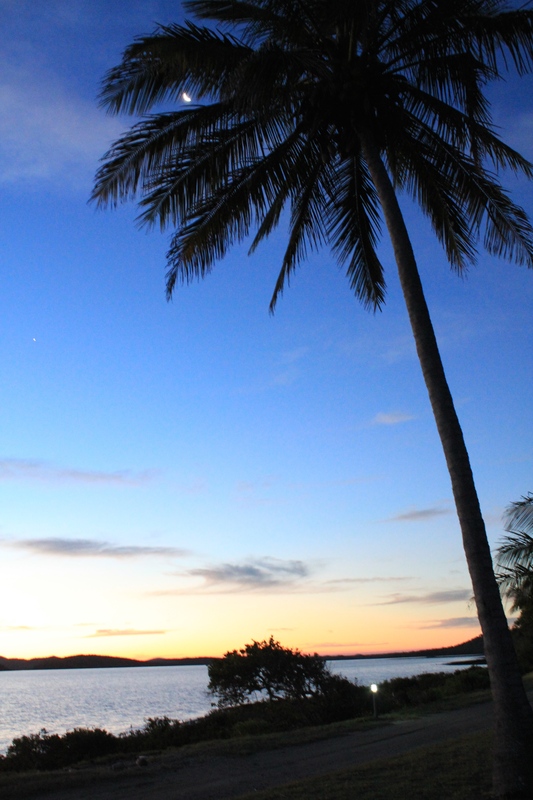 The wounds suggested that she may have been attacked by a crocodile. When Amanda was brought to the rehabilitation centre, carers thought her chances of survival were slim due to her extremely poor condition. However, after seven months of loving care, the Amanda we met was a very different turtle. She was racing around her 9-metre swimming pool eating squid and fish, an absolute picture of health. We were absolutely thrilled to share in the excitement of assisting with Amanda’s release. We needed to transport her two hours north, back closer to where she had been originally found. While unloading Amanda from the car in readiness to transfer her to the boat, a group of curious local people gathered around to watch. Bob [Irwin] was sitting quietly with Amanda reassuring her as the boat was being prepared. I watched Bob look up and notice a small girl, no older than five or six, standing towards the back of the crowd. Bob walked over to the girl and took her by the hand, guiding her to Amanda’s side. Bob showed the little girl how to gently pat Amanda’s shell and spoke quietly to her about the importance of protecting all wildlife. What may have seemed like a small gesture to many was, for me, an amazing act of kindness and compassion. The moment perfectly captured the simplicity and depth of the profound humanity of a great man. Bob truly sees hope for our planet in the maturing attitudes of younger generations towards the environment and works tirelessly to increase their understanding. Next, it was time for the volunteers and carers responsible for Amanda’s rehabilitation, including the man who rescued her, to say their final goodbyes. Bearing witness to such an incredible animal being released back into the wild was an extremely emotional and rewarding experience for everyone involved. 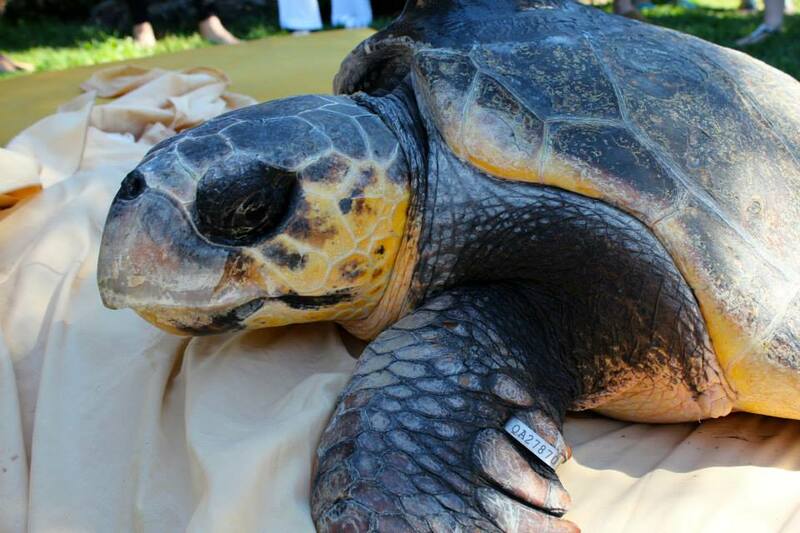 Amanda was fitted with a GPS tracking device so that her post release movements could be monitored. I applaud the dedicated volunteers of the Quoin Island Turtle Rehabilitation Centre for their hard work and commitment to our marine life. The team celebrating the successful release of Amanda. Bob, Amanda and Ben assisting with final preparations for Amanda’s release. 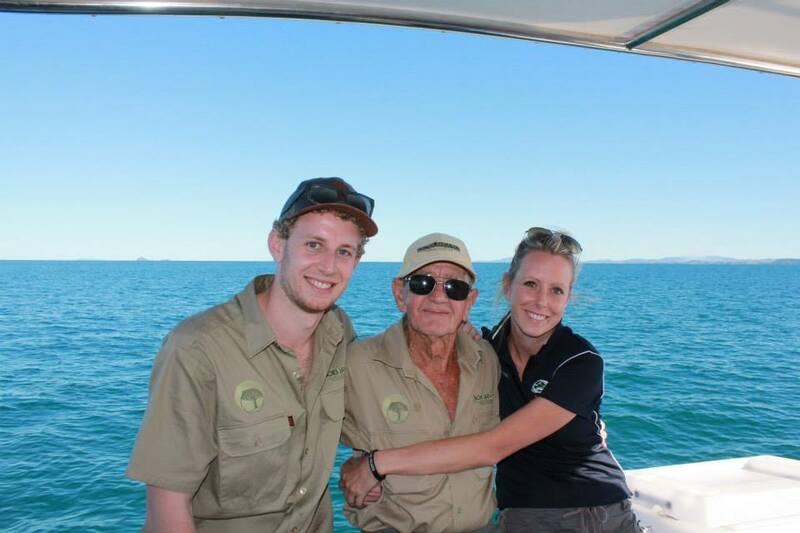 Ben, Bob and Amanda from the Bob Irwin Wildlife and Conservation Foundation. 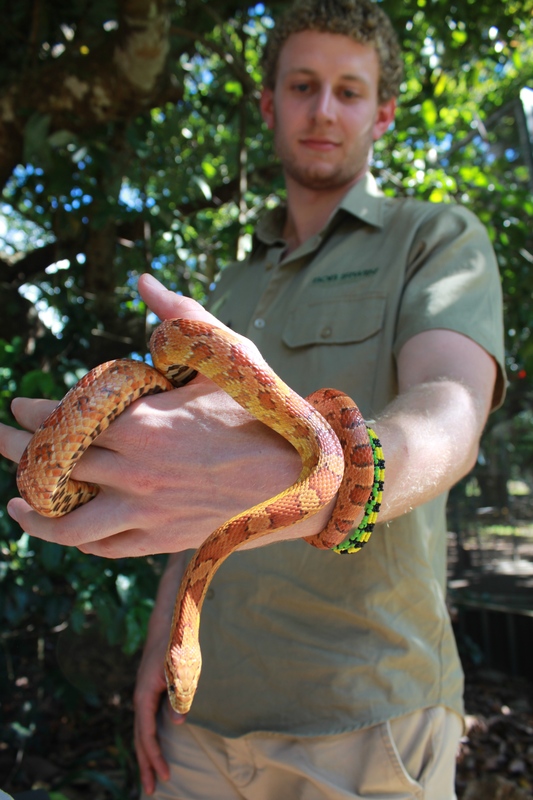 The final stop on our wildlife road trip was Queensland Zoo on the Sunshine Coast. When Brisbane’s Alma Park Zooclosed its doors in early 2014 after 45 years of operation, Julie Seabrook, a senior staff member acquired the animals and undertook the mammoth task of constructing a zoo from scratch, including relocating more than 200 animals to a new location. Thanks to the hard work of a small, dedicated group of the original keepers, the new zoo is certainly something they can be very proud of. The enclosures are large and naturally furnished, the animals are happy and healthy and the zoo has a positive, vibrant feel to it. Bob and I borrowed some of the zoo’s scaly residents and ran a segment with Totally Wild about snakes. Boa constrictors, corn snakes, woma pythons, carpet pythons and a black headed python were all featured in the segment and we focussed on dispelling some misconceptions about snakes and talked about their critical importance in the environment. Education is such an important part of conserving our wildlife and the more people that we can reach the more potential there is for instigating positive change that promotes protection of all species. It was so great to get out on the road with Bob and see the positive impact he has on everyone he meets. 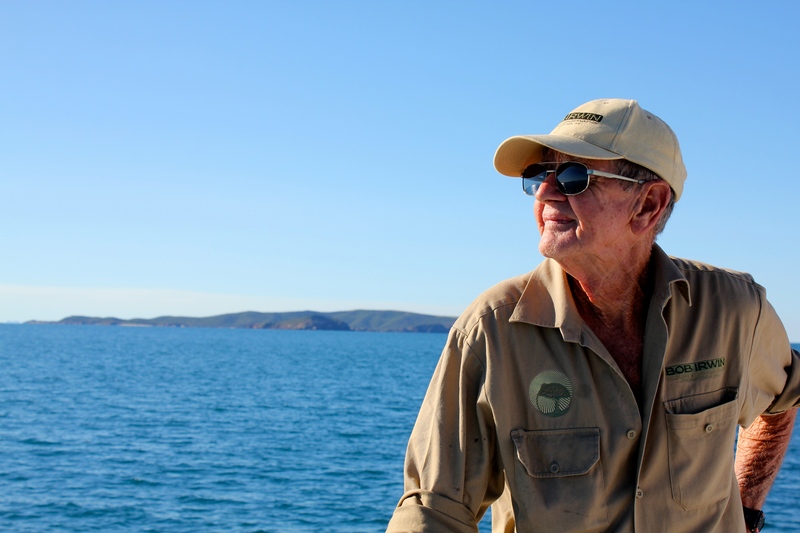 By taking the time to listen to the stories of passionate conservationists and visit their projects, Bob renews and invigorates their sense of purpose. Bob truly has time for everyone. We are extremely fortunate to have so many people working to protect the amazing wildlife we share this planet with. It is these people and their selfless dedication to their causes that gives us hope for the future. For more information about the organisations we visited on this trip, please check out their websites below. They are always in need of support through donations, as well as volunteers, so feel free to contact them if you are in a position to help out.